Jute Storage Baskets are always welcome in the house, office or any other place to use for storage applications. Their style, high utility and functionality make them a perfect piece for every establishment. 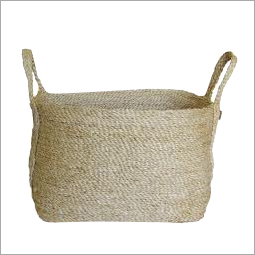 There are various types of jute storage baskets available in the market. A buyer can easily find an apt storage basket as per his need in different designs, sizes and shapes. Round baskets, square baskets and so on are present with lids and boxes without. Some jute storage baskets are designed for utility whereas some are for decorative purposes also. They are very handy to store any kind of item be it food, DVDs, toys or various other things that should be protected from dust. Organize items: Storing various objects and small items, baskets can convert a disorganized room into an organized one. Utilizing baskets at home or any other place, you can not only minimize the clutter, but also stay fashionable. Fit Anywhere: These baskets are designed to be fit anywhere perfectly without affecting the decor of a room. In fact, adding a basket to a place is just a step of making the establishment trendy and attractive. Easy To Clean And Maintain: Cleaning and maintaining baskets are very easy. All you need is warm water, soap solution and a soft sponge. 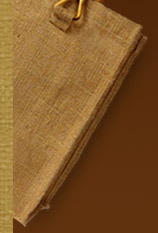 Cleaning of such jute storage baskets just takes a few minutes and that is to be done after every three to four months. Just sponge them with soft hands using soap solutions and was them with water. Avoid using high-pressure water as it can damage the basket or diminishing its finish. In addition to this, you can also vacuum them. Economical: They are highly economical. Easy to available at any store, they are very cheap to but without spending a fortune. Portable And Light In Weight: Jute storage baskets are highly portable and very light in weight that make them easy to carry from one place to another.